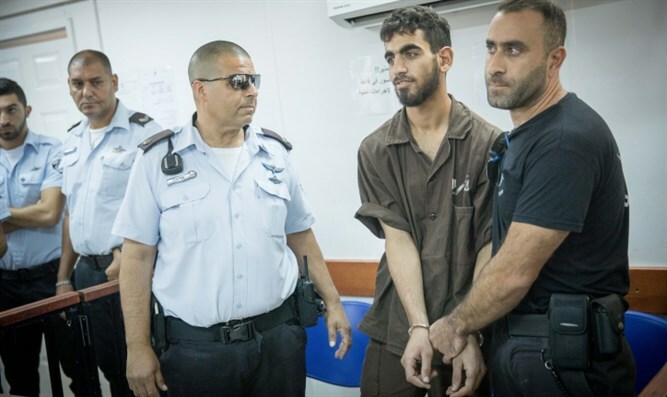 Murderer Omar al-Abed, who slaughtered three Jews in Neveh Tzuf, indicted for murder. An indictment was filed Thursday against the terrorist Omar al-Abed, who carried out the terror attack in Neve Tzuf (Halamish), where Yossi, Chaya, and Elad Salomon were murdered. The military prosecution filing the indictment sought to extend the murderer’s remand until the end of legal proceedings against him. On the evening of Friday, July 21st, Omar al-Abed entered the town of Neve Tzuf (Halamish) in Binyamin armed with a knife. He broke into the Salomon family home while the members of the family were organizing a “Shalom Zachar” event on the occasion of the grandson’s birth. He first stabbed Chaya, 46, the family member who was standing near the door. He then attacked the Chaya’s mother, who managed to escape to the second floor, wounded and bleeding. Then he stabbed to death Yosef, 70, Chaya’s father, before attacking Yosef’s 35-year-old son, Elad, stabbing him to death. Michal, Elad’s wife, fled with their five children to the second floor, where they hid. The hasty action of soldier “A” put an end to the butchery, and the soldier was awarded with a medal. Bill introduced to reduce powers of Supreme Court Proposed bill would limit the power of the Supreme Court to order the eviction of entire Jewish communities from their homes.